The Union Cabinet chaired by the Prime Minister, on 20th march,2015, gave its approval for the Pradhan Mantri Kaushal Vikas Yojana (PMKVY) with an outlay of Rs.1500 crore. This will be the flagship scheme for skill training of youth to be implemented by the new Ministry of Skill Development and Entrepreneurship through the National Skill Development Corporation (NSDC). The scheme will cover 24 lakh persons. 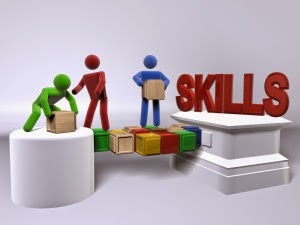 Skill training would be done based on the National Skill Qualification Framework (NSQF) and industry led standards. Under the scheme, a monetary reward is given to trainees on assessment and certification by third party assessment bodies. The average monetary reward would be around Rs.8000 per trainee. The Pradhan Mantri Kaushal Vikas Yojana is the really nice move to develop skills of youth in India. This scheme aims to provide aptitude to the Indian youth towards develop skills and raise the standard of working and the efficiency to complete the job.